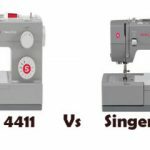 Toyota STF39 is a sewing machine with some benefits and drawbacks. It is good on thick fabrics, not so much in ease of use. There are some areas to improve. 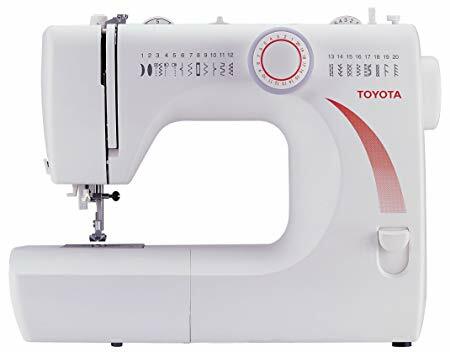 Toyota STF39 is a mechanical sewing machine designed for beginners. In U.S it is not as popular as Brother or Singer machines, but still it is worth having a look. It features 20 built-in stitches including a 1-step buttonhole. STF39 is a heavy duty model, capable of going through thick fabrics like denim. The automatic needle threader saves eye strain and frustration of threading the needle. Stitch selection is done using a dial. You can adjust the stitch length and width with the help of another dial. The presser foot pressure is adjustable by turning the dial, with this you can adjust the foot pressure according to the type of fabric used. Toyota STF39 is free arm capable, so that you can sew cuffs, collars, pants’ legs effortlessly. The drop feed capability allows you to do free-motion projects as well. 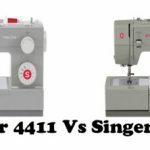 The machine comes with a front loading bobbin, which is kind of a disadvantage, as beginners will find it difficult to use. A drop-in bobbin would have done a world of good. Under the hood is a reasonably powerful motor capable of delivering 800 stitches/min. 3 needle positions are available left, center and right. Toyota STF39, being a heavy-duty sewing machine, is bound to be much more heavier than regular machines. It weighs around 18 pounds. A built-in carry handle is provided for portability (which is a nice thing for a heavy machine like this). The machine comes with 5 year limited warranty. Toyota STF39 is more metal than plastic. Even though the external parts are plastic, all internal parts are made of heavy-duty metal. The straight stitches are perfectly straight. The stitch quality is pretty consistent. The machine does a very good job with multiple layers of denim, which is a testimony to its ‘heavy-duty’ label. However the machine seems to jam at times (not very often, but still it does), you can’t say that it is a flawless operation all the way. A drop-in bobbin would have been ideal. The sewing light is pretty dim to be honest. It has more to do with the placement of the bulb. The buttonhole stitch is not that great. 5 year limited warranty is kind of a let down, especially when all popular brands in U.S provide 25 year limited warranty cover. Toyota STF39 is not a machine without limitations. It still performs quite well, even through those limitations. Toyota could have made this machine a lot better. I hope they will fix the shortcomings pretty soon. 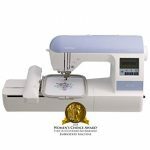 If you are looking for a frustration free heavy-duty sewing machine, you can have a look at Janome HD3000. 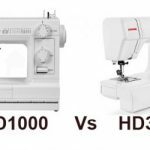 HD3000 has 2 less stitches, but it has a drop-in bobbin. 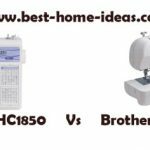 Recently, it was voted as the best heavy-duty home sewing machine in U.S by Sewing Machine Reviews. It is a flawless machine.